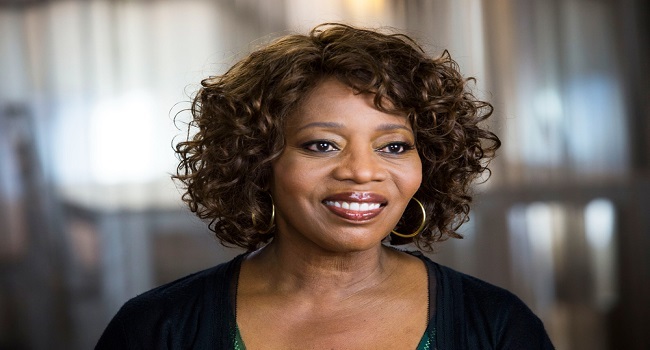 Award-winning actor Alfre Woodard (12 Years A Slave, Passion Fish, Luke Cage) will receive the 2016 Toronto Black Film Festival‘s inaugural Career Achievement Award on Saturday, February 13, 2016, 9PM at Jackman Hall, Art Gallery of Ontario (317 Dundas Street W.). The Toronto Black Film Festival (#TBFF16), created by the Fabienne Colas Foundation and presented by Global News in collaboration with TD Bank, is thrilled to recognize her body of work. The award ceremony will precede the international premiere of the film Knucklehead, directed by Ben Bowman and staring Woodard. Following the screening, audience members will get a chance to participate in a Q&A session with the actor, along with the director and lead actor Gbenga Akinnagbe. Woodard is available for advance phone interviews on January 28 and February 9. She is available for in-person interviews the afternoon of February 13. Such a natural actress; I first saw her in Heart and Souls starring Robert Downey, Jr., and I thought her acting was impressive. She sure deserves to be honored. I loved her work in Heart and Souls as well. She is an actress who, regardless of working in film or in television, continual transcends the material.